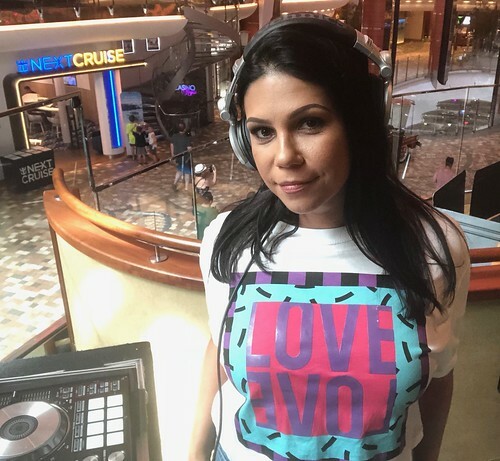 Starting off 2019, DJ Amanda Blaze has been rockin out the world’s LARGEST cruise ship as the guest Scratch DJ onboard Royal Caribbean’s Symphony of the Seas with a capacity of more than 5,000 passengers. She has also been the featured DJ at parties on other Oasis class ships – Harmony and Allure of the Seas in the past few months. Check out some pics from her cruise DJ journey visiting islands such as St Maarten, Puerto Rico, Bahamas, St Thomas, Roatan, St Kitts, Cozumel, and more.